Ever since I developed a passion for board gaming, I have been trying to introduce this hobby to my family. The main criterion is to look for language independent games so that my mum can join in. Below is the list of language independent games that my mum plays and I have also included games that I hope to introduce to her eventually. Feel free to add games that you feel will be suitable for my mum. Thank you in advance! This is a game that many chinese are familiar with. Not surprisingly, my mum knew the rules of the game too. When I was staying with my parents, we used to play this together with my brother during our free time. The problem with this is it gets noisy when the tiles are “mixed up” at the start of the game. It is a common game that people play in Singapore especially during the Chinese New Year holidays. This is the first game that we attempted to introduce to my mum. The result was a success. We managed to keep her interested in the game and she went on to request for a second game. I was delighted to achieve this milestone and have written a Session report about it. Recently, my Significant Other’s friend came over to our place and he got curious in our hobby. We showed him our games and shared with him some of the games that we introduced to my parents. He was keen to teach Blokus to his parents too! 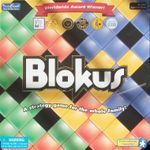 We ended up lending our Blokus and Blokus Duo to him so that he can try them out before deciding whether he wanted to purchase them. It was great to introduce this fun hobby to non-gamers. This is the second game that we introduced to my mum. This seemed to be an easier game for her. She understood the rules well. I observed that she was very engaged during the game and had been attempting to improve her position for the various colours. This was introduced to my mum when they came over to our place. 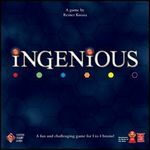 After introducing abstract games such as Blokus and Ingenious, I began to think of some of the famous gateway Euro games. Carcassonne feels like a suitable candidate. We played with the base game. I could tell that the scoring was a bit complicated for my mum and she may not understand it fully. She concentrated on finding suitable locations to place the tiles rather than maximizing her points. She did not seemed to enjoy this game as much. Perhaps it felt like a “puzzle game” to her. After trying Carcassonne, I decided to give Alhambra a try. My Significant Other thought the rules may be a bit complicated for my mum. It turned out that my mum understood the rules after a game or two and was able to play it independently with the rest of us. I recalled that she even won one of the games we played. I have written a Session report of the initial plays we had with her and my family. Since then, we have played more games of Alhambra with them. I have also taught her the game with 1 of the expansions (The Change). She revealed that Alhambra is her favourite game out of all the games we have introduced to her thus far. She enjoys the interaction from collecting of money card and picking the tiles that she wanted to form her own Alhambra. There is perhaps a sense of achievement at the end of the game for building her own Alhambra. I was apprehensive about its appeal to my mum and I was right. My mum experienced difficulty trying to locate the destinations. She had to spend some time looking through the whole board. Once she located the destinations, she had no issue with collecting the train cards and building of the tracks. We observed that both my mum and dad started getting edgy whenever someone built a track for fear that their planned path was blocked. At the end of the game, my mum confessed that this game was more challenging for her and she definitely preferred Alhambra. This is another game that I thought may be suitable for my mum. I am keen to teach her when I have the opportunity. Quite curious about the reaction from my mum on this. Edit: We have introduced this game to my mum and she seemed to enjoy it. After seeing how we used the tile that can exchange the position of the pieces, she become very cautious of where she places her tile. As she is not a competitive gamer, she tries to coax other players into placing the tiles together and sharing the pieces. We bought this game without realising that it is suitable for 3-6 players. As a result, my Significant other and I do not get much chance to play this. The version we bought come with cardboard tiles for the buildings. I prefer the old version with the 3D buildings and tiles! The theme of buying and selling stocks in a company is not unfamiliar for my mum. However, I am worried that the game play (and strategy involved) may be more complicated for my mum. I hope I am able to introduce this to my family eventually. I taught this game to my mum earlier today. It was a 3-player game between my mum, brother and significant other. I sat beside my mum in case she had any questions regarding the rules. I was initially concerned that this game may be a bit heavy for her. However, she picked up the rules in a relatively short time and was able to start a new hotel chain on her own. After buying a few stocks, she was left with no money to make any further purchases. As this was the first time she was trying out the game, my significant other helped her along and caused a merger to happen, which is to her advantage. With the money received, she was eager to get more stocks. We checked with her after the game and she mentioned that the game was quite fun. Guess we can look forward to more games of Acquire with my family! I have received a copy of No thanks! as gift from my friend. This is definitely a game that I thought will be suitable to teach my mum. Yesterday, I had the opportunity to introduce this game to my family(My dad, mum and brother). After 3 games, the response from all of them were positive. All of them seemed to enjoy the game and like the fact that it is a short and easy game. There are times when my mum got excited during the game. Whenever she saw cards that she did not want, she would eagerly throw out her coin before it reached her turn. We had to keep reminding her that it was not her turn yet. 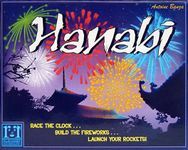 Recently, we bought Hanabi with a few other games. I decided to teach my mum this game because it is a co-op game. I thought this may give her a different feel from the rest of the games I had previously taught her. She was confused over the clue giving action. She ended up giving me either only one card of a number even though there are other cards of the same number but different colours on my hand, or she gave me both the colour and the number of a card. We aborted our first try and gave it another go. After a few rounds, she began to understand the rules better. My mum and I managed to obtain a pretty decent score for our second game with only 1 of the colours uncompleted at 3. After the game, she told me that it was quite enjoyable for her. I have since tried it with her and the rest of the family on another occasion. However, I observed that my dad (his first game) did not seem to enjoy this game as much as my mum. I suppose he did not enjoy playing co-op game as much. Parade is another game we bought as part of our recent game purchase. Being a simpler game with no language involved, I thought it may be suitable for my mum. I eventually found the opportunity to teach it to my mum and the rest of my family. My mum seemed to understand the rules of this game quite easily and she picked it up in a short time. However, she tended to forget to check the colour when deciding which card to play. We allowed her to change her selection when that happened. Although she ended the game with quite a number of cards in front of her, she had a good laugh over it. I will definitely play this game with her again when I have the opportunity! 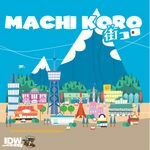 We just bought a copy of Machi Koro. I am eager to introduce it to my mum given that it is a light and short game. We brought it along when we visited my parents yesterday. Although there are english wordings on the cards, it was easy for my mum to understand the rules. She understood the differences between the coloured cards and the dice roll number required for the benefits to be activated. For the benefits, she only need to look at the number stated at the bottom of the card to know the number of coins she can collect. It was a 4-player game between my mum, dad, brother and Significant Other. I was beside my mum in case she needed help with the cards or rules. However, I noticed that she could play the game independently on her own. I could tell that my family were having a fun time with the game. After the first game, which was won by my dad, they requested for a second game. I have long heard about this game but never have the opportunity to try it. Last Thursday, I saw this game at our gaming club. Without any hesitation, I took the game and read the rules. My Significant Other and I tried it with others from the club. It is a fun and cute game. I like the illustrations for the properties with 1 type of animal included for each (perhaps with the exception of property 30). The game is easy to learn and plays very fast. 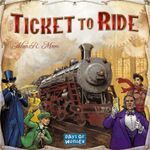 Although it is a short game, there is element of auction and bluffing which makes the game play quite interesting. Each play is different depending on how the property and currency cards turn up. Based on the game play, we concluded that this would be a suitable game to teach my mum as well as my family (dad and brother). My Significant Other researched for the game that night and we found only 1 local retailer selling the game. We went to buy the game last Saturday in case it went out of stock in Singapore. We brought the game to teach my parents on Sunday (one day after our purchase). I was eager to find out their reaction to the game. It turned out that our gut feel was correct. My mum had a fun time playing it. She was quite prudent in her bidding for fear of running out of money. She wanted to ensure that she had sufficient money towards the end for other properties and she would try to convince other players to stop bidding and take the properties available. During the first game, she ended up taking more of the lower valued properties and could not sell them for a lot of money in the end. There were a number of funny situations that turned up. One of them was my dad won the highest valued property (30) during the bidding. During the selling phase, the currency card "14" appeared and all of us concluded that he will most probably play his highest property card to win that. The three of us (my mum, Significant Other and myself) played a low valued property card. It turned out that he only played a valued "15" property card and won the highest currency. He was laughing his head off at all of us. A similar situation also took place when my Significant Other played a property valued "5" and took the highest currency. The rest of us were playing property valued "2", "3" and "4". I love the bluffing element in this game and had a fun time laughing at the result of the bids. It is definitely a worthwhile purchase when I see my parents enjoying the game with us. P/S: My brother was not around during the first game. He returned and saw us having a fun time. He came over and watched the game play. Although he did not get to try it last night, he concluded that this seemed like a fun game to play. Heh.. We told him that we expected him to like the game too. We told him that we will bring the game in the future and he could join in and try the game too. 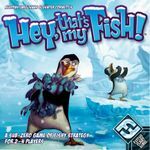 We bought this game after watching the review by Heavy Cardboard and preview by Eric Martin. Although the rules are simple, the game play feels interesting. We decided to purchase the game and introduce it to my mum since it is independent of language. Initially, she was a bit confused by the rules especially the part when she needs to have the majority before she can score her arboretum. She seemed fine with the game but mentioned that she needs a few more plays before she can grasp the game. My brother seemed to grasp the game well and managed to win the game a few times despite learning it recently from us. I am still far from understanding the strategy of this game and hope to play it more often to understand it better. After playing this game with friends of ours, we decided to purchase a copy of it. This is a suitable game to introduce to my family, especially my mum. We have since played the game a number of times. My mum was nervous about taking the cards and would sigh out loud whenever that happened. After a few games, she seemed to understand the game better and play cards that are "less risky" for herself. She was very pleased with herself when she only took 2 points during one of the rounds. My dad on the other hand, felt that luck of the draws played a major role in his win/loss. However, he looked very satisfied with himself whenever he did not take any card in a round. My brother is the sabotager, who enjoys causing others to take cards. He would have a good laugh over it. We even gave him a nickname because of it. This is another family friendly game that is enjoyed by my family especially my mum and brother. One of our gaming buddies, Maurizio, taught us Coloretto. We came away thinking that it may be a suitable game for my mum. So we went ahead to purchase a copy. As expected, my mum enjoys the game immensely. During a typical game, she would prod us to take additional risks via revealing more cards. When we end up having to take a row containing negative point colours, my mum and brother will laugh at one another quite hysterically. My Significant Other and I also can't help but join in the laughter with them. After introducing a number of lighter games to my mum, we decided that it was appropriate to try a medium weight game with her. This is the most suitable candidate among our games. She understood the rules relatively fast and was actually quite eager to try a new game. The initial few games saw fierce fight among the players to be the first in player order. My dad and mum were discarding their "joker" cards to recruit the less experienced monk because of the higher movement point. My Significant Other had to reiterate that being first in player order does not equate to winning the game. I recalled there was a game when none of the less experienced monk tiles were left for recruitment. They had no choice but to recruit from the remaining tiles. When they saw the additional VPs earned by myself and my Significant Other for each of the monk, they ended up regretting their earlier actions of discarding it. There was a game when my Significant Other was far behind in player order. He recruited a few tax collectors (3 of them) in order to overcome his lack of choices problem. With a lot of money on hand, he had the flexibility to take the actions he preferred by discarding three coins each time. After seeing the strategy adopted by my Significant Other, my mum realised the importance of having money on hand. That was also the game when my mum could not recruit the tax collector in the end because the tiles ran out during the game. In recent games, the fight for player order was not as fierce and my mum is becoming more careful with her recruitment choices and money on hand. She even won the most recent 5-player game that we played together. Our friend, Maurizio, had recently helped us with the purchase of a copy of Modern Art Matagot French edition. This may turn out to be my mum's favourite game based on her reactions and enjoyment during the game. She enjoys talking to us and attempts to influence our bids. During the blind biddings, she would tell all of us not to bid too high and be more cautious. However, she often ended up being the person with the highest bid. During the open biddings, she would wait for the rest of us to place our bids before she decide on whether to outbid us. If she placed her bids, we knew that she would subsequently play the same art cards (sometimes double cards) to raise the value of those arts she had bought. We feel that she is a good player of Modern Art, both in her attempt to influence us and her play of the cards. In fact, she won the first few games with us. We were looking for suitable 2-player game to introduce to my mum and dad. 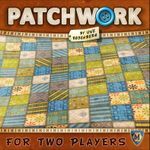 Patchwork sounds like a suitable candidate given its simple rules. Both my mum and dad did not seemed to enjoy the game. The short playtime relative to the setup time seemed less appealing to them. Perhaps the negative points for each unfilled spaces also put them off. As my dad has retired recently, we were thinking of introducing 2-player games to him and my mum. My Significant Other suggested teaching them Hive since it is one of our favourite games. During our next visit, we got curious and asked them whether they had the opportunity to try the game. Both of them did not sound as keen this time round. My mum confessed that the game was over within minutes. The first player always win the game. It sounds to us that both of them are busy surrounding each other's queen bee and the second player did not adopt a more defensive stance. This game does not seem to be receiving much love from both of them at the moment. However, we plan to purchase a copy of the Mosquito and Ladybug expansion for them. Hopefully, we have the opportunity to try the game with them more often for them to appreciate its true beauty and depth! Power Grid was next on the list of games that I would like to teach my mum. 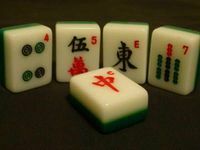 It is language independent and can play up to 6 players. This will work well with my family as we usually have five players (dad, mum, brother, Significant Other and myself). We had introduced a number of games to my mum and she usually pick up the games pretty fast. Therefore, I thought this may be a good game to introduce to her. We first introduced the game to them in March 2016. We could tell that both my mum and dad were confused over the player order. They were also hesitant in purchasing the more expensive power plants due to the high price tag. My Significant Other and myself will find ourselves buying the more expensive power plants with little challenge. Therefore, we were able to build up a much higher power capacity than my family. Of course, this is a learning game for all of them. We have since continued to play Power Grid with them on a weekly basis. Our total play count is five to date. Both my mum and dad have learnt from their previous errors and are less prudent when it come to bidding for the more expensive power plants. We noticed that they are much more careful about the type of power plants they purchase to avoid too much competition for resources to power the plants. There was once when my mum did not have sufficient resources to purchase as many players were having the same type of power plants. As a result, her income suffered because of it. Whenever we purchased additional resources to store on our power plants, she would be sighing and asking us to spare some for her. During the first few games, both my Significant Other and I would have higher power capacity than her. She often find herself having a lower power capacity by the time the game ended. Nowadays, she will pay attention to all of our power capacity to avoid lagging behind. Recently, she even managed to win a game against us. She told us that Power Grid and Modern Art are currently her favourite games.